I’ve gone and signed up for National Novel Writing Month again. My goal: to write 1,700 new words of Book #2 a day for the next 31 days. If I keep up this pace, the end of November will find me a happy, over-tired writer of a completed, overwritten manuscript. I’ll also probably be wearing the same clothes I am at this moment (glad they’re comfy!) and have forgotten to eat anything but Kit Kats (there are still a couple left from yesterday. Are you proud of me? ), but you know that won’t matter because: BOOK #2. Yay! 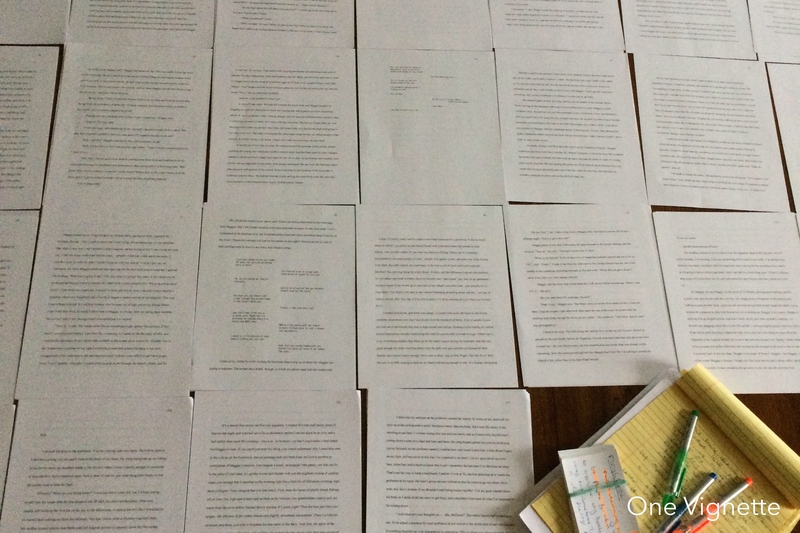 I have almost half of a rough draft finished (I culled thousands of words as I was organizing what I had so far, but I can’t talk about that yet because the grief is too new). 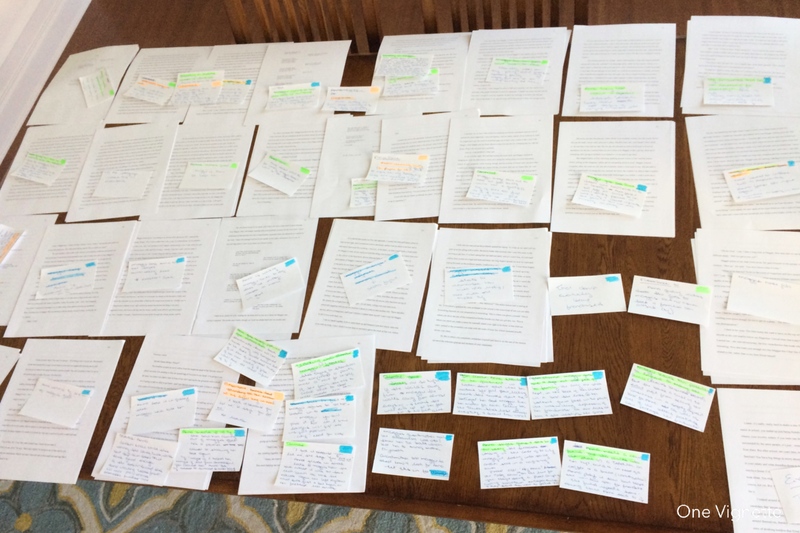 My dining room table has turned into a plotting zone with scenes and notes and lots of lots of holes that still need to be filled. I don’t know how often I’ll be posting this month, but I can guarantee that my brother will finally be happy, because whatever I do post is going to be so. much. shorter than what I usually blog here. Congratulations, Paul! You’ve been asking for this for years. Quinlan asked me yesterday why I’m spending so much time on my computer these days. The guilt snuck in, as it so often does, but I pushed it aside (I’m getting way better at that these days, I swear) and told her that I’m finishing my second book. She actually gasped and looked at me with utter excitement. “You ARE?! Oh, what’s it CALLED? ?” And then we were off to the races. We’re at the races, you guys. I’ll see you at the finish line. I have an answer for Quinlan (and your other kids): tell them you are making them a very special gift for when they are all grown up. Your books, your words, you! They will be able to take you with them wherever they go and find your voice when they can’t hear your actual words. I have a few letters from my mom (thankfully written by hand and not an email….so I guess I should write a few of those to my kids soon) but I would LOVE it if she had been a writer and I had some books she had written. So dive into that book and leave a legacy!